The sunchoke, also known as the Jerusalem artichoke, has an artichoke-like flavor and is a nutritious addition to any meal. 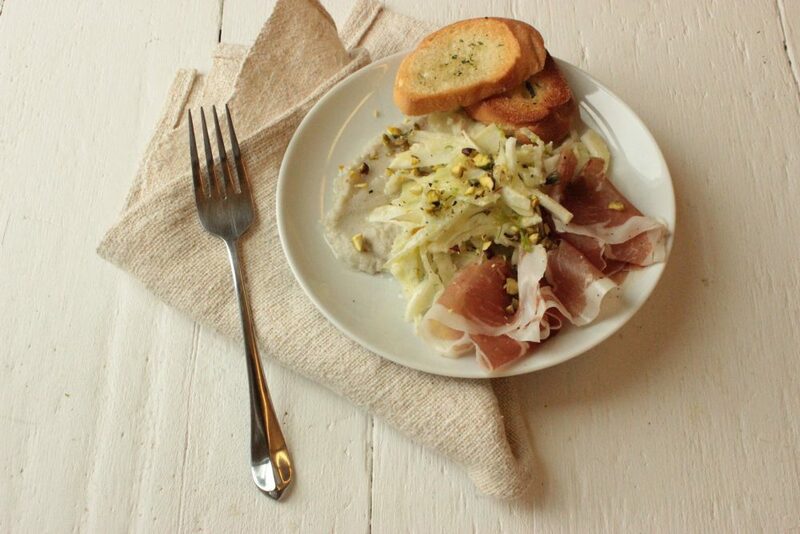 Combined into a prosciutto salad, it is both a healthy and a flavorful meal or side. The earthiness of the sunchoke and fennel salad helps to balance the saltiness brought by the cured meat, all the while offering a bit of nuttiness from the pistachios. This recipe gives an adventurous twist to the traditional idea of prosciutto salad, and satisfies every need for your palate. Add a glass of slightly fruity Beaujolais or a tall citrus-flavored Hefeweizen to round out the dish. Cook sunchokes in a pot of boiling salted water until tender, drain. Place sunchokes, 2 tablespoons of the oil, cream and garlic in a blender. Puree until smooth. Season to taste with salt and pepper. Set aside. Place fennel, lemon juice and 1 tablespoon of the oil in a bowl. Toss. Season to taste with salt and pepper. Spread 1/4 of the sunchoke puree decoratively on a serving plate. Top with 1/4 of the fennel salad. Add 1 to 2 slices prosciutto. Drizzle with a little olive oil. Sprinkle with freshly ground black pepper and pistachio nuts. Repeat to make 4 plates.